Digital specialty network getTV has announced it will be adding a three-hour variety block on Monday nights beginning October 12th. The Judy Garland Show will air from 8-9PM; a mixture of variety specials and episodes will air from 9-10PM; and The Merv Griffin Show will air from 10-11PM. getTV will air all 26 episodes of The Judy Garland Show, which originally aired on CBS from September 1963 to March 1964. A press release points out that this will be the first time any of the episodes have been seen on TV since their originally broadcasts. The 9-10PM hour will feature “classic specials and variety episodes from Andy Williams, Dionne Warwick and Jim Nabors, among others.” The premiere special will be “Carol Channing & Pearl Bailey on Broadway,” which originally aired on March 16th, 1969 on ABC. As for The Merv Griffin Show, getTV will air “50 hand-picked episodes from the series’ formative years, none of which have been seen on TV since their original broadcast.” However, the episodes will be edited to to fit into a hour-long slot (they were originally 90 minutes long). Earlier this month, getTV added three Westerns to its schedule: A Man Called Shenandoah, Hondo, and Nichols. The network launched in February 2014 and initially focused mostly on movies. I love it! Would like to see the Twilight Zone! Maybe they’ll show the hysterical 1970 special ‘Swing Out, Sweet Land’ with John Wayne. Can’t get enough of The Doodletown Pipers. Antenna TV plans to get even deeper into the Carson library of 4,000 shows, presenting a different episode every night and even syncing them up to holidays and landmark events. The night after the Academy Awards, we’ll show the episode that ran the night after Johnny hosted them back in the early 1980s, Compton said. 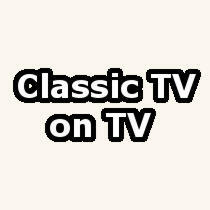 Most of the episodes have not been seen on TV since their original airings. Judy Garland CBS series ran for only a short time, in 1963 and 1964, but featured performances from Barbra Streisand, Lena Horne, Ethel 16d0 Merman, Tony Bennett and other notables. “The Judy Garland Show” likely would have been the big hit of the 1963/64 TV season had it been broadcast in any time slot except Sundays at 9 P.M. (Eastern/Pacific), since it had to face NBC’s top-rated “Bonanza” in that hour. “Bonanza” was at the peak of it’s popularity, and no show could have been successful against it. The night after the Academy Awards, we’ll show the episode that ran the night after Johnny hosted them back in the early 1980s, Compton said.